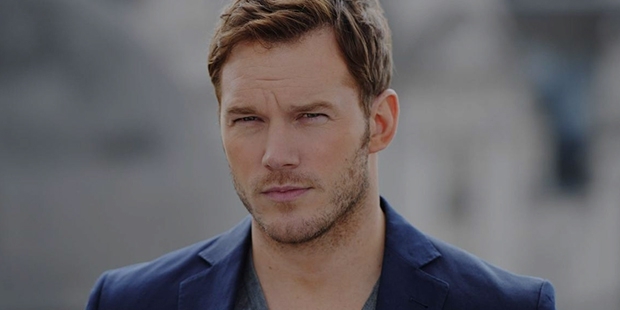 Christopher Michael Pratt popularly known as Chris Pratt is an American actor. He is known for his roles in the television industry including Bright Abbott in Everwood and as Andy Dwyer in Parks and Recreation. He began his film career with the supporting roles. 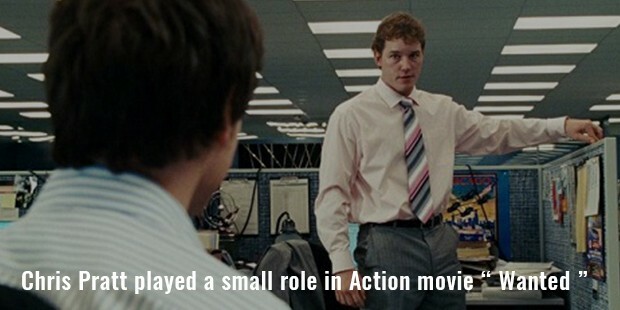 He appeared in movies like Wanted, Moneyball and Five year engagement. He got the lead role status in 2014 and starred in two hit movies “The Lego Movie” and “Guardians of the Galaxy.” In 2015, he starred in Jurassic Park and was ranked #2 on list of Sexiest Man Alive by the People’s Magazine. Pratt was born to Kathleen Louise and Daniel Clifton on 21 June, 1979 in Minnesota in the US. He was raised in Washington. While in school he stood at fifth in a state wrestling tournament as a high school student. He dropped out of college during his first semester and worked as a daytime stripper and discount ticket salesman. 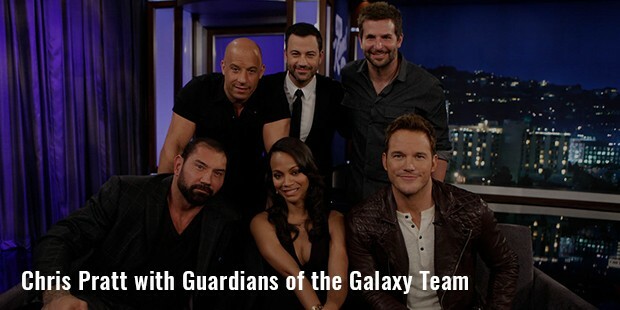 Pratt was discovered by actress and director Rae Dawn Chong when he was 19 years old. She cast him in her horror flick Cursed Part 3. Pratt’s first television role was supposed to be as Harold Brighton in the series Everwood which was later cancelled and he joined the cast of “The O.C.” for the fourth season. Meanwhile he also appeared in the action movie “Wanted” in 2008. Pratt read for the lead roles of “Star Trek” and “Avatar” but was rejected after the audition. Pratt played the role of Andy Dwyer on the NBC comedy series “Parks and Recreation” in 2009. His character was loved by the audience and was re-introduced by the producers even though it was meant to be a temporary character. Pratt also portrayed the role of Scott Hatteberg for the movie “Moneyball” in 2011. 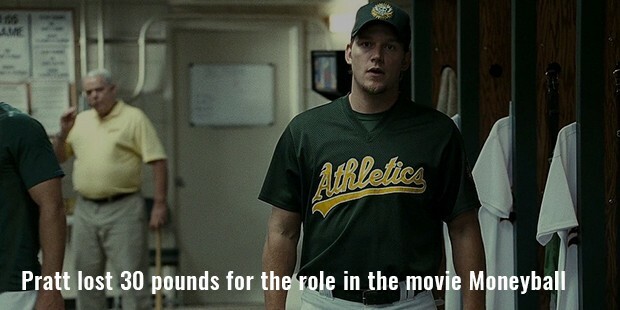 He lost 30 pounds for the role, Oakland Athletics first baseman/catcher. He had to gain the lost weight for his character in “10 Years” and again had to lose it for his character as a Navy SEAL in “Zero Dark Thirty.” Pratt earlier turned down the offer to play Peter Quill in “Guardians of the Galaxy” due to his Avatar moment. 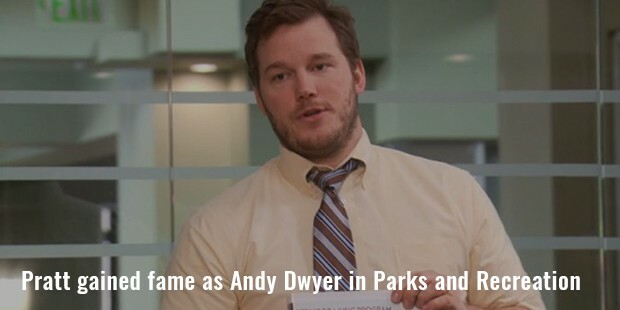 Pratt was shot to fame with his character as Andy Dwyer on the NBC comedy series “Parks and Recreation” in 2009. He later starred in hits movies like “The Lego Movie” and “Guardians of the Galaxy.” In 2015, he played the lead role in the “Jurassic Park.” He played the character Owen Grady who works training velociraptors. 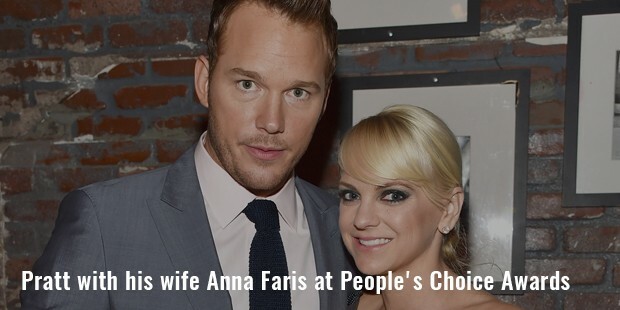 Pratt met Anna Faris while they were on the sets of the film “Take Me Home Tonight” in 2007. They got engaged in 2008 and married in Bali in 2009. Anna gave birth to their son, Jack in August, 2012. He was also listed at the second position in Sexiest Men Alive by the People’s Magazine the same year. He was nominated for the Teen Choice Award for Choice Movie: Voice for the movie “The Lego Movie” in 2014. He earned nine nominations for his role in “Guardians of the Galaxy.” He ruled the television industry and was nominated for his role as Harold Brighton “Bright” Abbott in Everwood.